Going into the fourth edition of Storyworks, I knew it would be a great learning experience. What I didn’t know is how strongly it would affect the way I tell stories from now on. Many people love film, and when you’re passionate about the industry and consume enough of the results, you can’t help but analyse films. I am one such person and I find it gives you a better appreciation for the craft of storytelling. What Storyworks did was help me understand the structure of storytelling for cinema and put names to the moments and emotions we see on screen and feel from the audience. The course taught me how to make the intangible qualities of why we care about a character and get engulfed by a good film – tangible. Much of its success is thanks to the amazing mentors but a lot must be said for the structure of the course, with groups of participants working together to develop their stories. We had rooms of people collaborating on their projects, sharing ideas and giving genuine constructive feedback for the improvement of the script. It was refreshing to see creative individuals openly share their ideas. It seems to be an issue in Malta that many keep their ideas to themselves for fear of it being stolen, so anything that helps change that has to be commended. For my own project, what I can say is, my father and I went to the course with a story to develop, a puzzle. We had most of the pieces and managed to put parts of it together, mainly around the corners, but a lot of work was needed. While the puzzle still isn’t ready yet, we did manage to make good progress, find some of those missing pieces, and most importantly, we now know what the picture will look like when it’s done. Matt Stroud is an animator, Illustrator and graphic designer. Having graduated with a BA in Graphic Design and Interactive Media from MCAST, Matt focused his skills on animation began creating numerous intros and motion graphics for a variety of local television programs. To further his passion for animation Matt read for a MA in 3D Computer from the University of Bournemouth. His graduation project, ‘Dark Places’, received recognition and awards both locally and internationally, leading to working on short films as an animator and visual effects artist. Matt is currently working on his next short animated film and developing an animated feature project. Charles Stroud is a local TV director, writer and event organiser. His career started in 1970 with the Malta Film Facilities as a prop boy and progressed to director with Television Malta. Over the years he has directed many one shot television dramas and full series, such as the popular ‘F’Baħar Wieħed’, ‘Tfal Jiġu Bil-Vapuri’, ‘Pupi’ and ‘Salib It-Toroq’. He has also been responsible for organising large-scale milestone events, such as originating the Grand Master’s Parade, Opening and closing ceremonies for the Games of the Small States of Europe, complete production and direction of Malta’s Millennium activities and part production and direction of Malta’s accession celebrations into the EU (Featuring Malta’s first mega projections on Fort St. Angelo). He is currently working on pre-production for both short film and feature film projects. 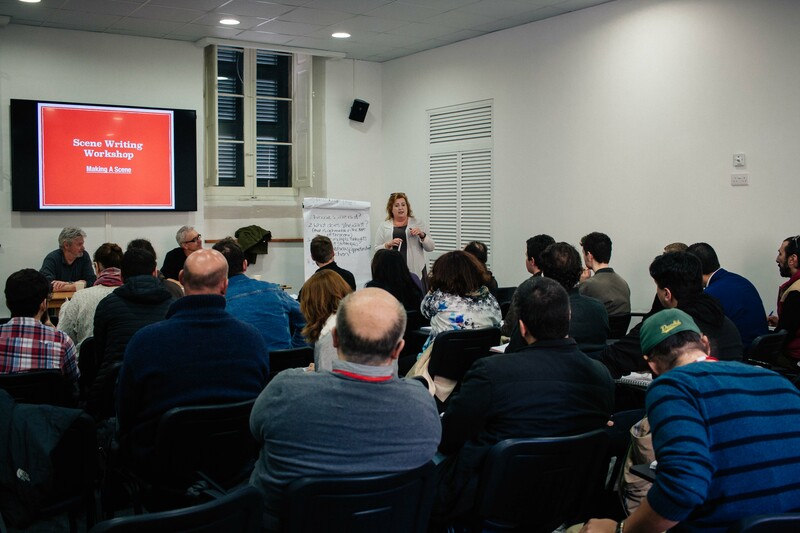 Storyworks is a Valletta 2018 initiative in collaboration with the Malta Film Commission, Arts Council Malta and Spazju Kreattiv.